Increasingly, successful restaurants are making decisions based on data. Detailed information about customer dining patterns and revenue is used to feed into marketing campaigns, better in-house service, staffing and menu decisions. Software providers, like Eat, help restaurants leverage their data to connect all parts of their operations. Personalization with complete diner histories. Printable shift plans keep your staff organized and efficient. Improve profit margins with staff planning. 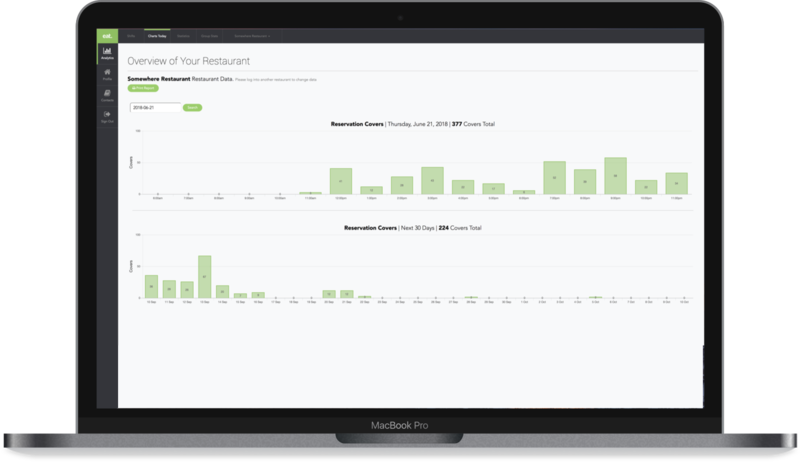 Join the thousands of restaurants that use our restaurant analytics to make better business decisions.